As the first Nokia mobile running Windows 8, Nokia Lumia 920 equips a dual-core Snapdragon S4 processor and a 4.5-inch display of 1280 x 720 resolution. That means Lumia 920 can handle the up to 1080P videos easily. Unfortunately, there are not that many options to actually obtain movies for it. Of course you can watch videos from YouTube, but for new-release movies, you are tied to Google Video’s limited collection, or you have to wait a bit before you can access them through Netflix, which only works when you have an internet connection. 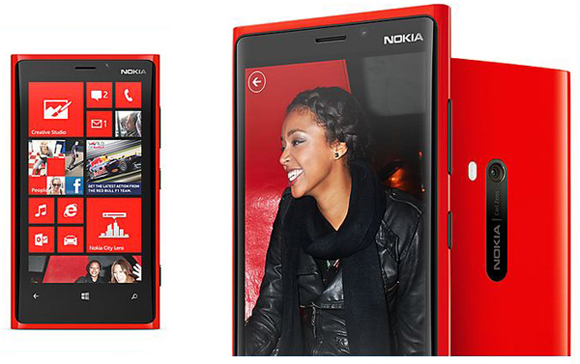 So how can you maximize the use of your Nokia Lumia 920 for movies and TV shows? This guide will show you how you can put your own DVD movies onto your Nokia Lumia 920 in 1080p full HD so that you can watch them when- and where-ever. The Recommended DVD to Nokia Lumia 920 converter is iFunia DVD Ripper for Mac, a professional DVD ripping tool to help you rip DVD to Lumia 920 playable video formats fast and with excellent output video quality. Besides Lumia 920, it can rip DVD to all popular video format, such as AVI, MP4, WMV, MPEG, MOV, FLV, MKV, 3GP, etc. and rip DVD to optimized video for playback on iPad, iPod, iPhone, kindle Fire, Samsung Galaxy Tab, Archos, iRiver, etc. 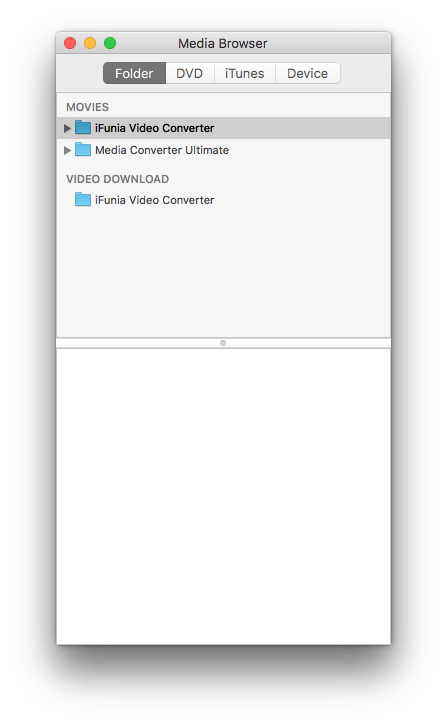 Just get iFunia DVD Ripper for Mac and follow the guide below to convert DVD to Lumia 920 playable videos. Download iFunia DVD Ripper for Mac, install and open it. Simply click the Media Browser icon at the upper right corner to import the DVD files you want to rip. After the files are loaded, you can preview them on the right viewing window and take snapshots freely. If you want to edit the movie such as cutting the black bars, removing some parts, etc. you can click the Edit button to do some video editing like cropping, trimming, rotating, adding video effects, etc. Click the “Output Format” drop down list and choose an output video format for Nokia Lumia 920. 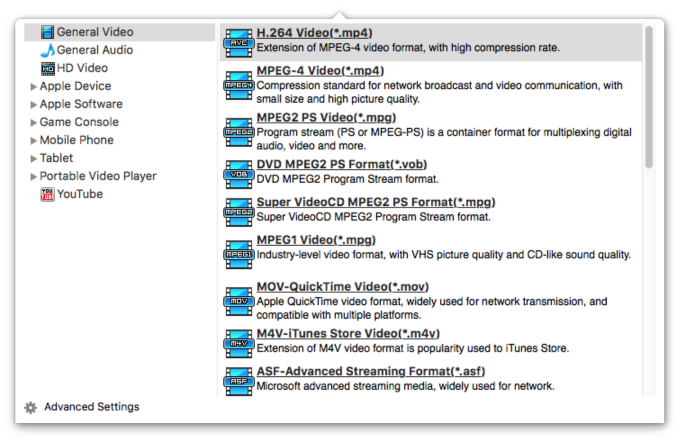 Since it well supports MP4 and WMV, here you can just choose MP4 or WMV as the output format. If you want HD videos, click “HD Video” and select HD WMV or HD MP4 as the output format. After you finish all the steps above, click “start”; to begin converting DVD to Nokia Lumia 920 on Mac. You can view the conversion progress and are able to cancel the converting process at anytime. All the tasks of conversion will be finished at fast speed and high output quality. Then you are ready to watch DVD on Nokia Lumia 920 in 1080p full HD for more fun. Answer Line: How to Burn AVCHD Footage to DVD in Full HD (1920 X 1080)? which is best, Nokia Lumia or Samsung Galaxy S3? Thanks for the suggestion. I have VLC on a separate netbook and the files play OK.